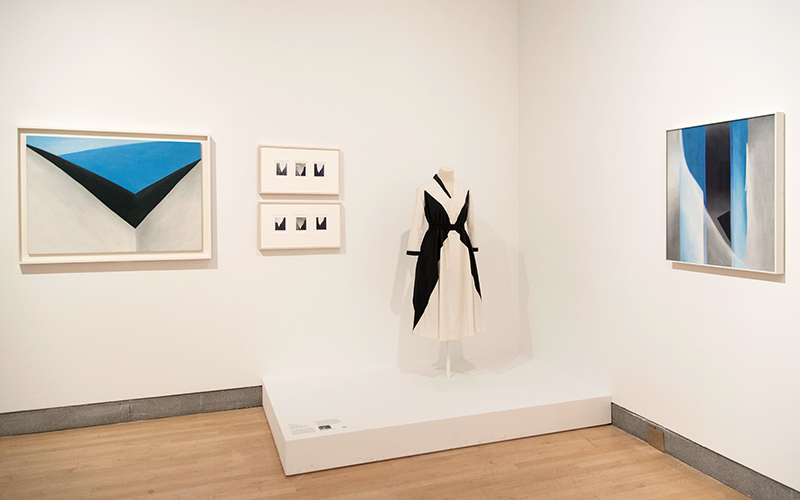 The Modernist painter Georgia O’Keeffe is a singular figure in American art—known for her evocative flower paintings and desert landscapes as well as her androgynous, monochrome wardrobe, which was a self-aware extension of her work. 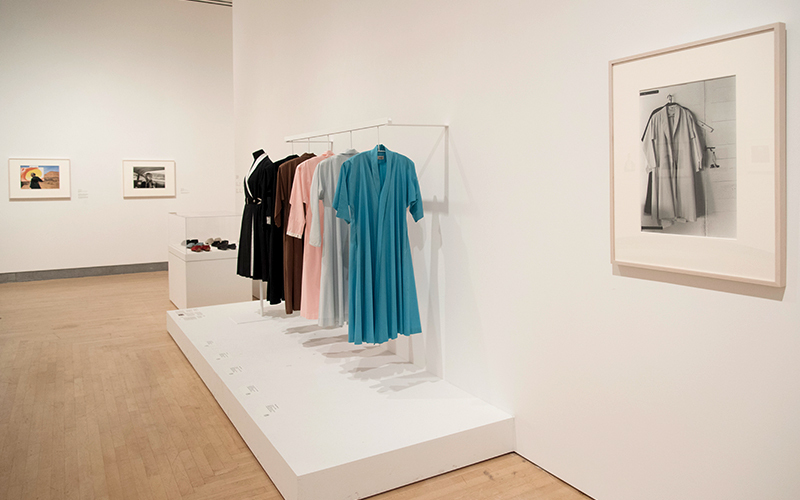 Georgia O’Keeffe: Living Modern, on view through July 23 at the Brooklyn Museum, examines O’Keeffe’s style alongside other markers of her public life, including photographs by her husband Alfred Stieglitz and admirers, Irving Penn and Andy Warhol. A must-see for anyone interested in art and fashion. 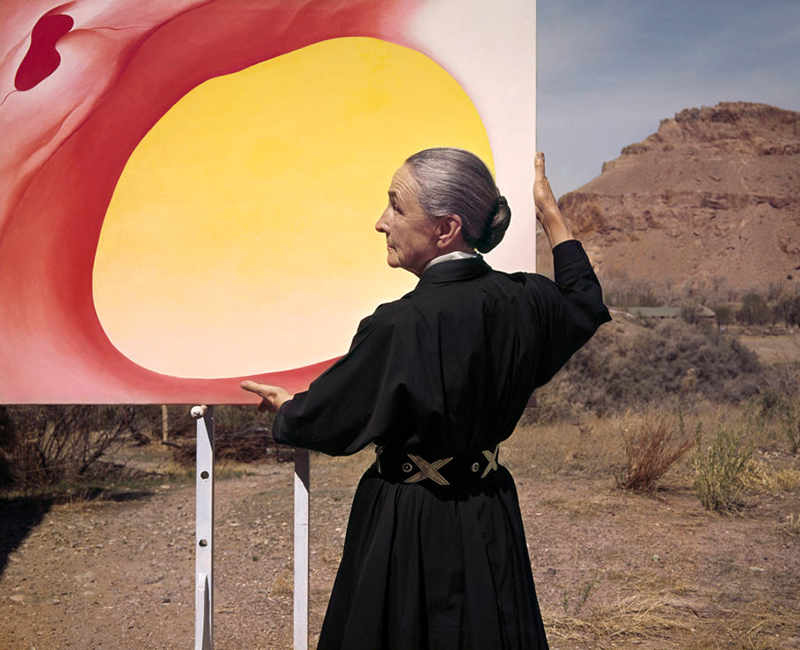 You can further explore O’Keeffe’s life and work on a trip to New Mexico. Here are some places to visit on an art-inspired trip. Dive into the artist’s catalogue without leaving the town’s historic central plaza at the Georgia O’Keefe Museum in Santa Fe. 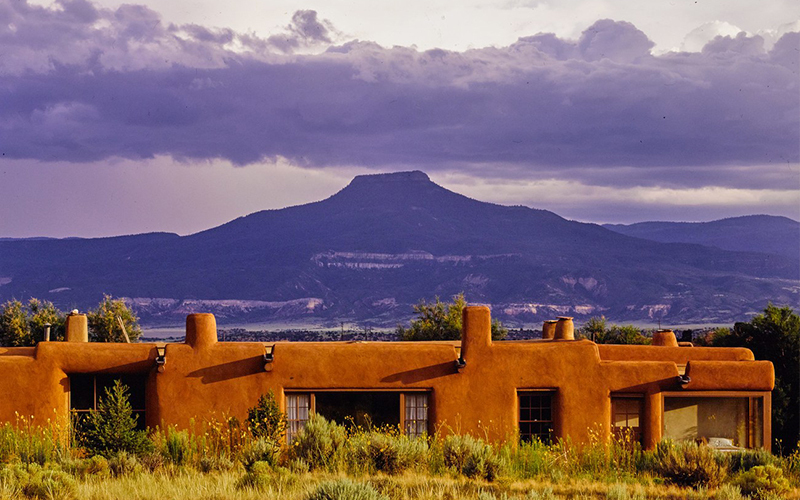 For further immersion, a day trip to O’Keeffe’s secluded desert home and studio in Abiquiú and her summer home at Ghost Ranch feels like stepping into one of her iconic paintings. 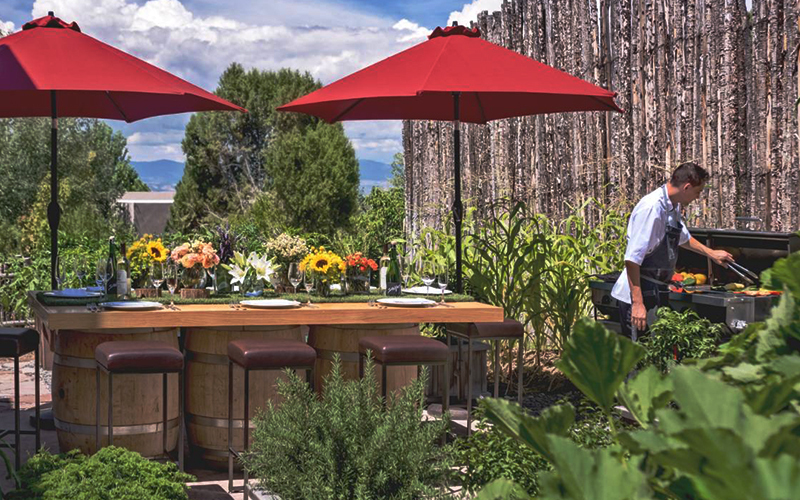 Santa Fe’s The Inn of the Five Graces is an intimate boutique hotel spread over a cluster of immaculately preserved adobe homes. 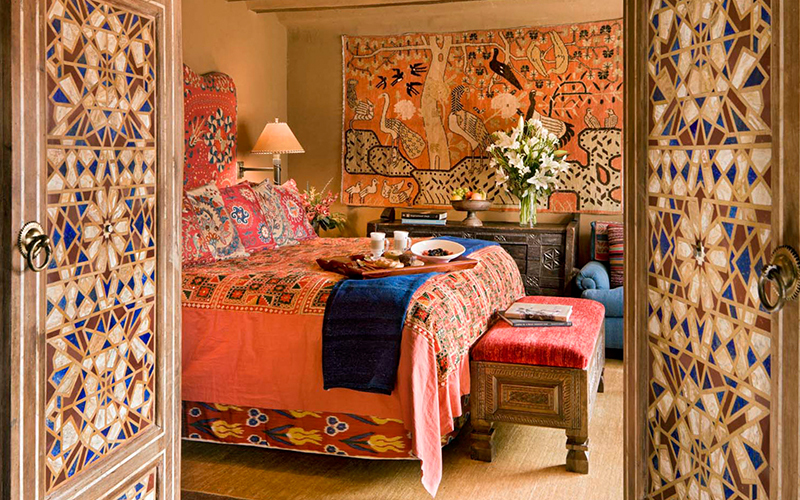 It marries classic Pueblo design with a curated mix of Asian textiles and antiques collected over decades of travel. Ten Thousand Waves spa was inspired by Japanese mountain hot spring resorts. 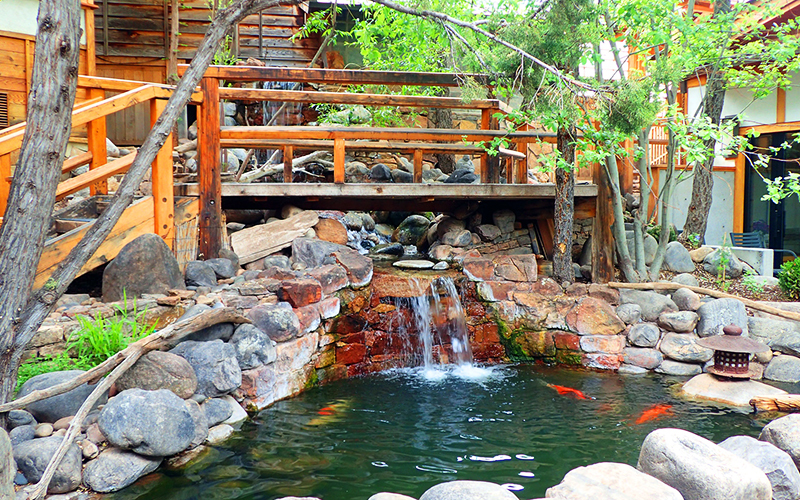 It features outdoor hot tubs and spa suites perched among piñon pines and juniper trees. Terra, Chef Kai Autenrieth’s regionally inspired restaurant at the Four Seasons, pairs sweeping views with elegant American dishes. The AERIN Slide Sandal in Terra and a raffia clutch complement the desert hues; our Cashmere Silk Solid Fringed Scarf is an easy way to stay warm once the sun sets. A moisturizing serum, such as AERIN Rose Oil, is essential for keeping skin hydrated in a dry climate.